Lewisham is a major district in an inner-city area of South East London. It is located in the London Borough of Lewisham. 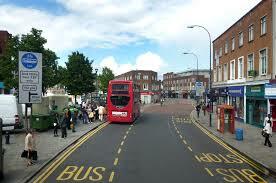 Lewisham is notable for its commercial area which boasts the Lewisham Shopping Centre incorporating 70 stores. Lewisham can be reached by car via the A20 and A202. Lewisham is well served by public transport and Lewisham station is both a National Rail and a Docklands Light Railway station. Lanes School of Driving has been teaching locals to drive since 1914. It is well known for its high standards of excellence. Lanes tailors lessons to the needs of each pupil. Intensive driving courses are offered. Driving theory is available in conjunction with practical lessons or as a separate course. When our students have passed their driving test they are offered the option of taking after pass courses including: Motorway Driving, Parking Skills, Advanced Driving and Pass Plus. At Lanes we cater for our pupil’s needs and instructors can be booked on a weekly basis or just one lesson. Block booking will attract discounted rates. Lanes proudly offer one on one lessons to all our pupils. We believe that our pupils should not have to share their instructor with another pupil. Lanes have a selection of the latest car models for their students. Pupils can be picked up by their instructors before their lesson and dropped off at the end of the lesson. Lanes have been providing driving lessons in Lewisham, London for many years. Please call us today on 020 8166 5678 or click here to send us an email via the contact page. Lanes have over 40 highly experienced driving instructors. Pupils are encouraged to pick the instructor of their choice. Our instructors have years of experience in teaching nervous drivers of all ages, from 17 to over 70. Every one of Lanes’ instructors is a DSA registered Approved Driving Instructor. Each pupil stays with their own personal instructor for the duration of their course. Lanes have a team of driving instructors in Lewisham, London. Please call us today on 020 8166 5678 or click here to send us an email via the contact page. Learning to drive can be very daunting and some women pupils would prefer not to have a male instructor. Female pupils are given the opportunity to chose the female driving instructor of their preference. Our female instructors are very understanding. They will help their pupils feel relaxed and comfortable during their lessons. Lanes have a selection of female driving instructors in Lewisham, London. Please call us today on 020 8166 5678 or click here to send us an email via the contact page. Some pupils request to be taught in an automatic car. It is true that manual cars allow the driver greater control. At the same time automatic cars are less bewildering for the novice. They are less complex, and learners will not be able to stall them. Pupils find that learning is easier in automatic cars. Lanes have a selection of automatic driving instructors in Lewisham, London. Please call us today on 020 8166 5678 or click here to send us an email via the contact page.